Years ago when I moved to San Diego to start my radio consultancy business, I bought an old home on Coronado Island that was built in 1914 which was the year my father was born. However, all that really meant was that it needed some major remodeling. (pictured on top shortly after the remodel) I loved living in Coronado, it was kinda like going back in time to the 40’s, you walked everywhere so you really had no need for a car. The island also boasted it’s fair share of the rich and famous and the one I got to hang out with was the legendary Jack McCoy. Unfortunately, though, there came that fateful day when Jack talked me into doing the stupidest thing I’ve ever done. We were sitting on a park bench in front of his house talking a little radio when he said to me, “George, you live a half a block from the ocean, you have to get a boat, man!” Now think about this, growing up in Winnipeg, I don’t think I was ever even in a rowboat let alone an ocean-going vessel, so I had no business even thinking about, let alone buying a boat. True to his word, when my boat showed up, I had a boat slip for it because my name had also shown up at the top of the list. As I stood there gazing upon my new boat, I remember thinking, “Hell, you could live on that thing.” On my very first weekend as a boat owner, Jack took me out into the bay and started teaching me how to operate my new vessel. It was a beautiful day, just a gentle breeze blowing, mid 70’s and not a cloud in the sky as we left the dock. Once out into Glorietta Bay, Jack turned my boat over to me and as I took it under the Coronado bridge, I remember singing to myself, “I’m Your Captain” and thinking that life was good. Yeah, life was good alright, but in my case, it was about to be over. Coming straight at us was a giant Aircraft Carrier which looked like a whole city. Jack shouted, “Hard to starboard” as he pointed to the right, and I cranked it to the right as hard as I could. Jack then pushed the throttle all the way forward and my new boat fairly lept out of the water. However, even as fast as we were going, it still seemed like it took forever to get out of the carrier’s way. The next time Jack took me out, once again we crossed under the Coronado Bridge, but instead of taking on an Aircraft Carrier, this time he pointed at a red sign across the bay and told me to head towards it. Jack said that this was the place where you buy fuel for boats and while we were there we might as well top it off. As we got closer to our destination, Jack told me to line up behind a boat that was in there taking on fuel but for safety reasons, we’d idle back out here until he was finished. At that moment the boat in front of us blew up, and I don’t think I ever went out on my boat again. Things are never as we imagine them to be, sometimes they’re worse. We teach our sons, we learn from our daughters. If you don’t laugh at yourself, someone will do it for you. Telling me what’s wrong pays a dollar an hour, fixing it pays a thousand. What I have come to understand about global warming is that for the first time in history our planet doesn’t cool down overnight as much. Now the earth doesn’t have enough time to heal itself before sunrise. If men are obsessed with breasts, why do we only spend five minutes with them before moving on? Understanding the truth is easy, finding out what it is, now that’s hard. The winners who wrote it down created our history books. I respect most police officers, but until they out the bad ones, I guess they too will have to suffer the consequences. Wow, the Sox are playing the Dodgers in the World Series. What an epic battle this is gonna be. Germany seems to have dealt with their involvement in the Holocaust far better than America has handled slavery. The big difference between the greedy people in Canada and those in America is that the Canadians do it with a little more class. Speaking of Canadians, I understand that it’s now legal for them to go one toke over the line. Do the Chinese eat Chinese food every day, I know the rest of us sure can’t. The only people who bow down to the wealthy are the Democrats and the Republicans. We don’t because they don’t share with us. Doesn’t it seem strange that one of the very few things the Republicans and Democrats agree upon is our sending troops to the desert even though most of us don’t understand or agree with? The only thing Jim Hilliard remembers about my tenure at WIBC in Indianapolis was my cutting the spot load from 21 units an hour to 19. 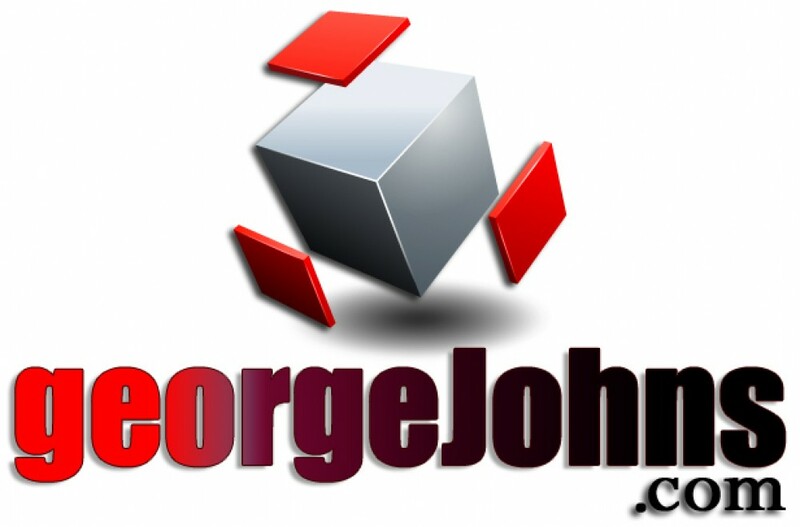 For some sneak peeks at some upcoming Geo’s Media Blogs, go to GeorgeJohns.com or you can google Writing Radio’s Wrongs to see a brand new Blog that Bob Christy and I are writing together about the state of today’s radio. On Twitter @GeoOfTheRadio. Sharing and commenting is greatly appreciated. A lot of stations wish they had the inventory to run 15 units an hour..
Yeh, even with the free ones thrown in Jerry they can’t get sold out. I love Jim Hilliard’s recall of your time at WIBC. Especially since I think the world of and have worked for BOTH you guys ranging from WFIL Philly to KVIL Dallas and more. As a morning guy for ten years for CBS at KOOL Phoenix, I remember being very proud and even amazed each time we’d earn top ratings in the morning DESPITE the fact that they kept increasing our morning drive spot load to 21 minutes, even including running promos encouraging listeners to try OTHER morning broadcasts! (Our HD channels, and CBS’s local Phoenix country station). ….and I guess I should be honored to have been on that boat twice. Once, we actually left the marina into Coronado Bay! By that time Bill, I think Lana had hired a Captain so I became the Admiral. Love your boat story. Over the half century that Jack and I have been friends and business partners, several of his boats have tried to kill me. The most recent, a few years ago, nearly succeeded as I ended up in the water of Los Angeles Harbor with a torn achilles tendon. I haven’t set foot on a boat since, and I like it that way! I feel your pain, Doug. I was once asked, why am I so attracted to boats? The answer is simple. When is the last time you heard about a drive by shooting at a Yacht Club??? Having owned 28 different ones over 50 years, If the happiest day in a mans life is the day he buys or sells a boat, I’ve had 56 really great days in my life! Lucky for me Paul, I’ve only had two of those great days.